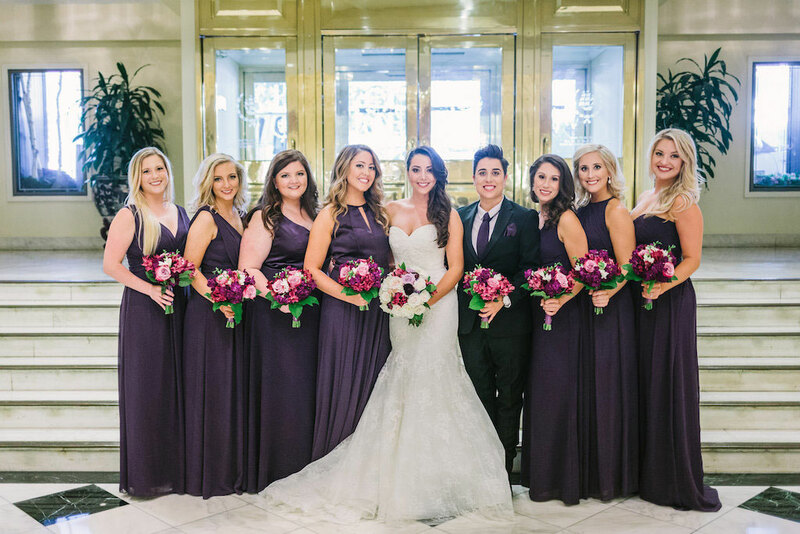 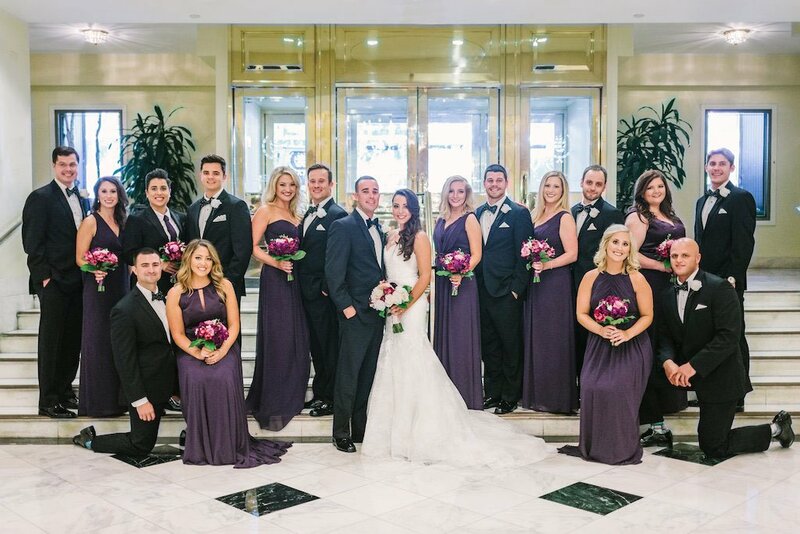 The Maid of Honor Wore a Tux at This DC Hotel Wedding. 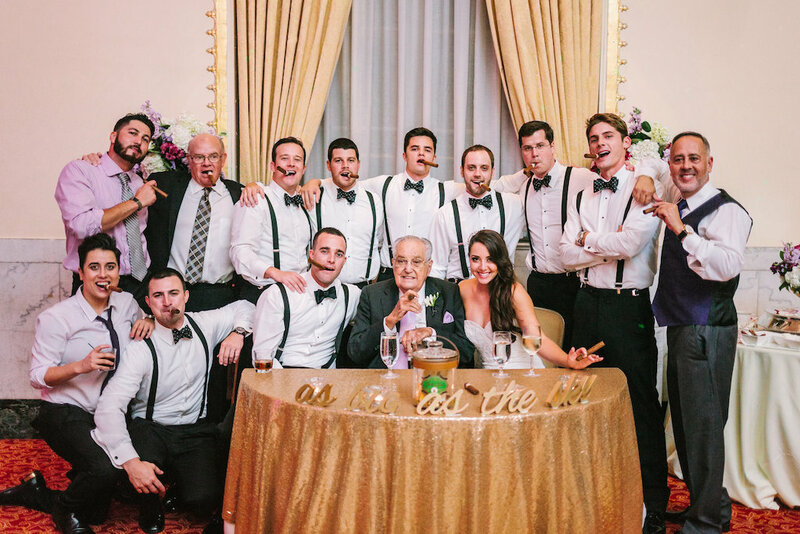 How Rad Is That!? 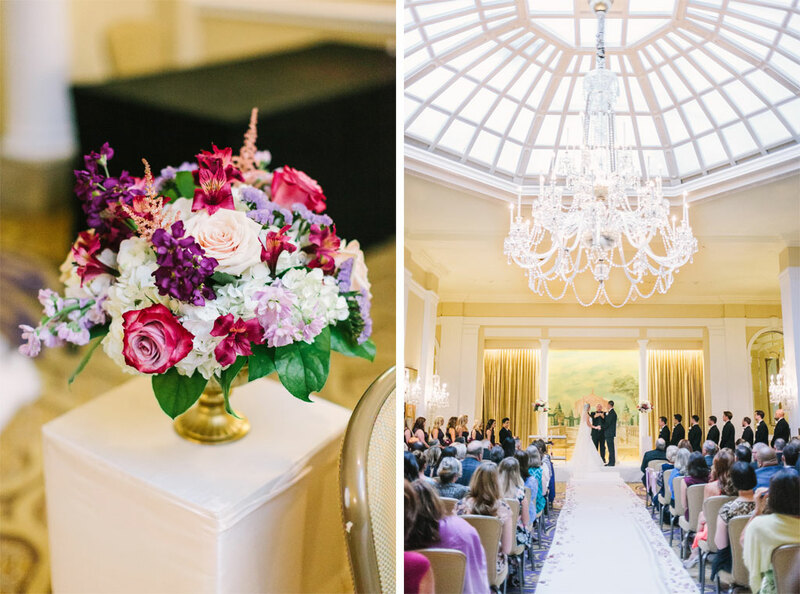 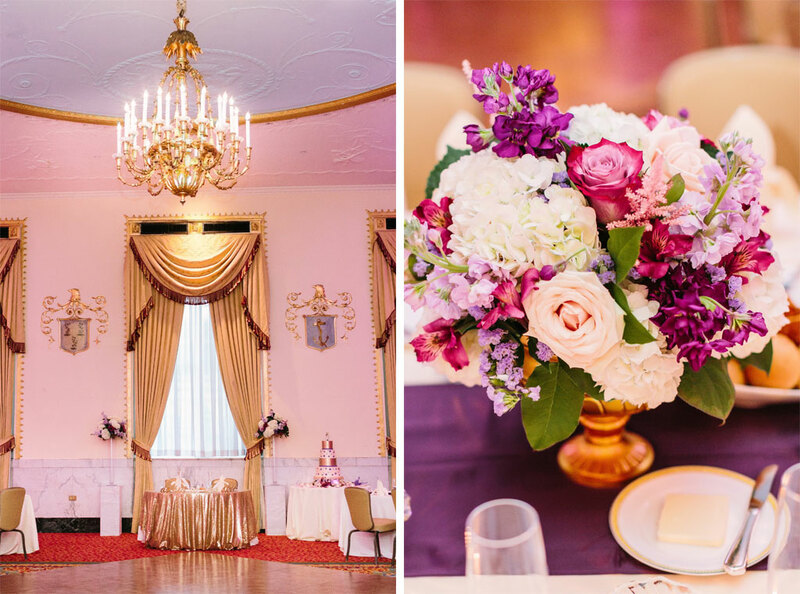 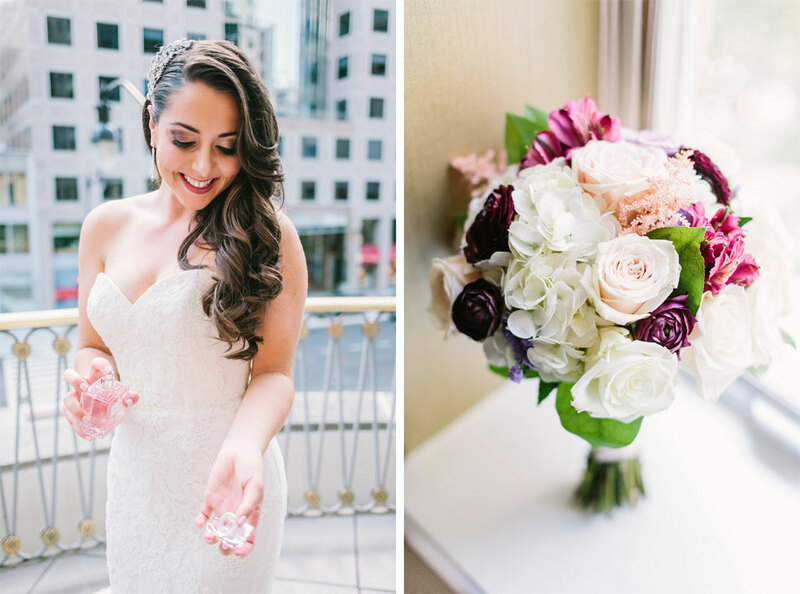 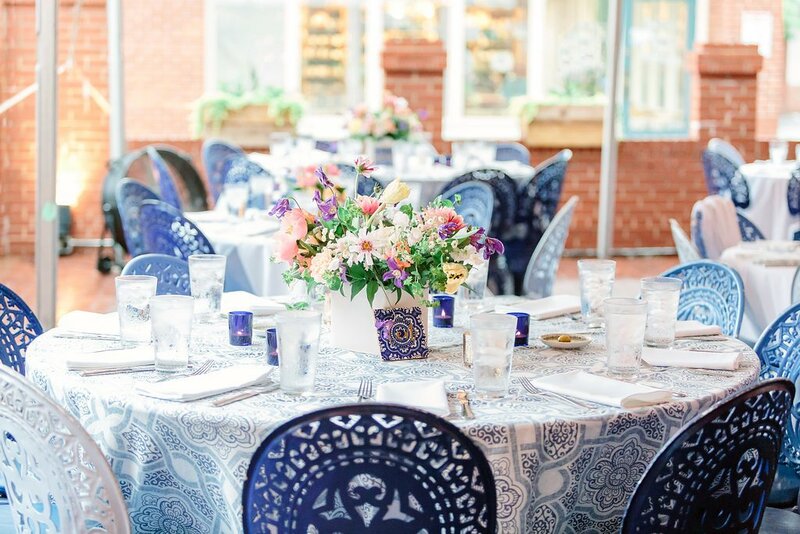 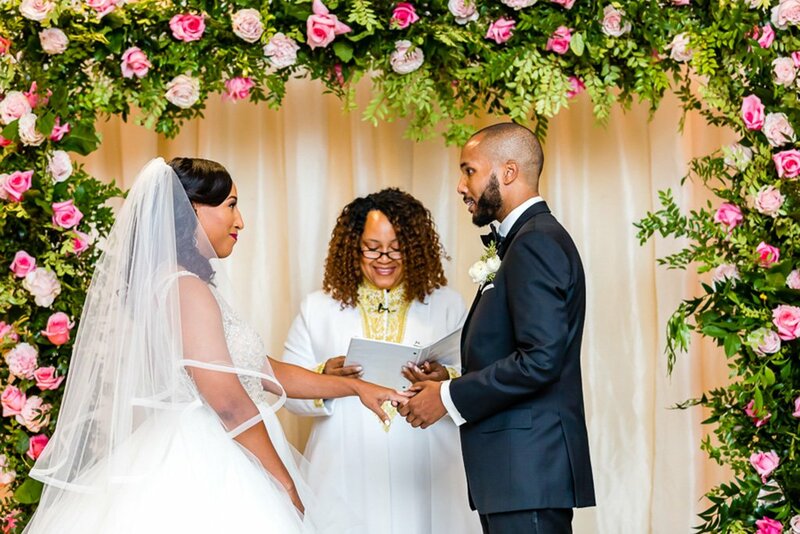 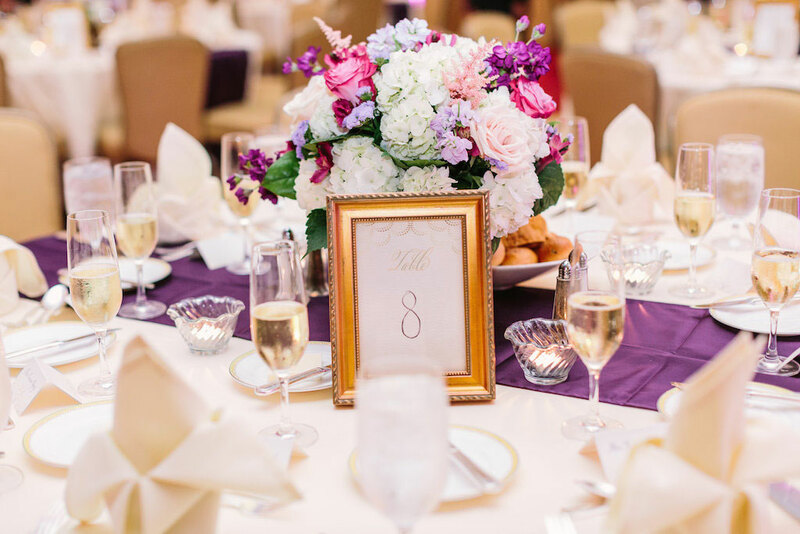 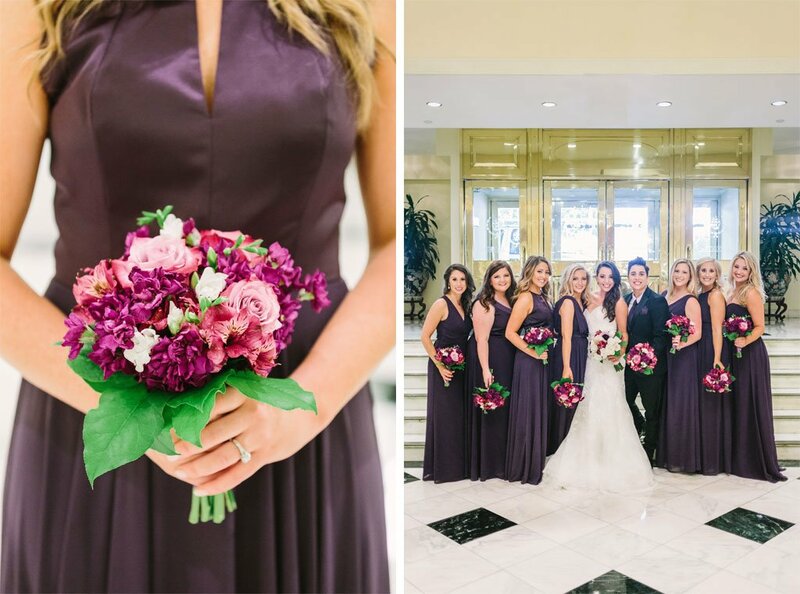 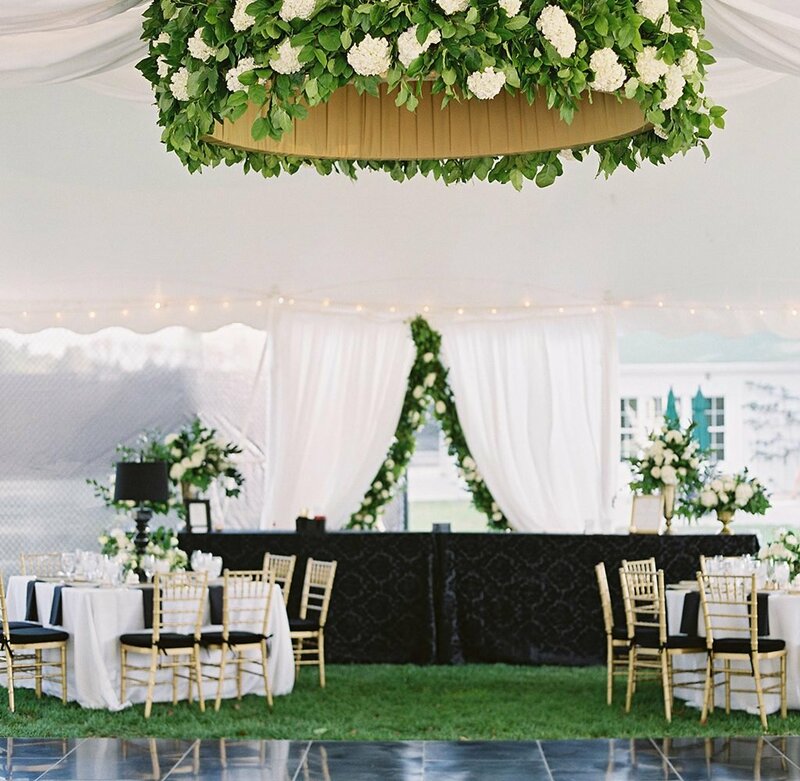 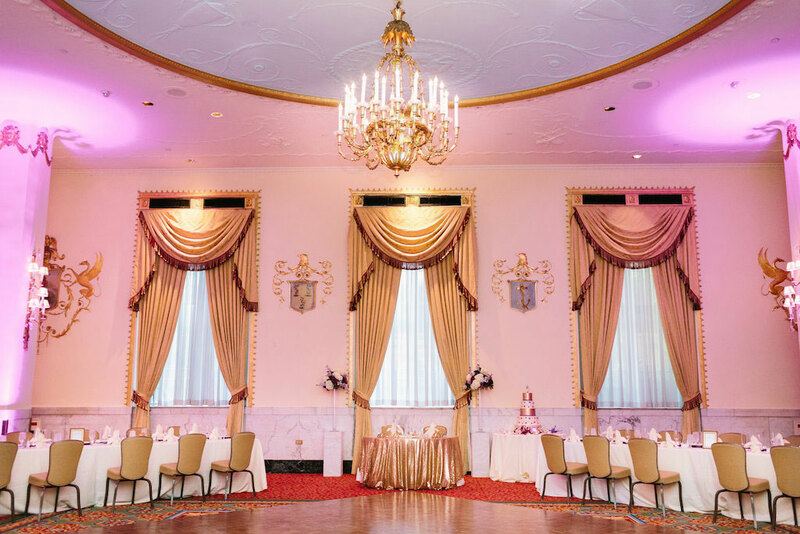 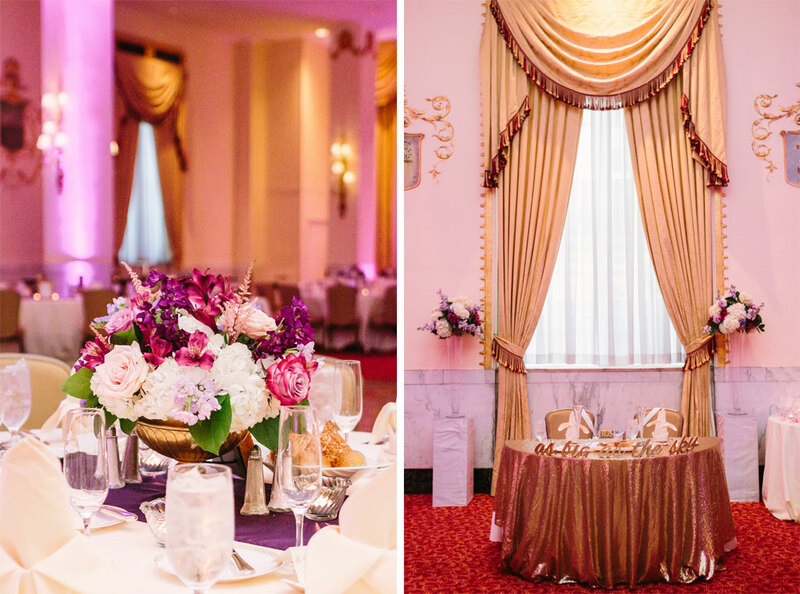 Luisanna Carrera and Ryan Timmons’ DC hotel wedding was beautiful, to be sure, but what we love the most about it is how spectacularly personalized it was, from the family quote on the sweetheart table to the custom maid of honor suit. 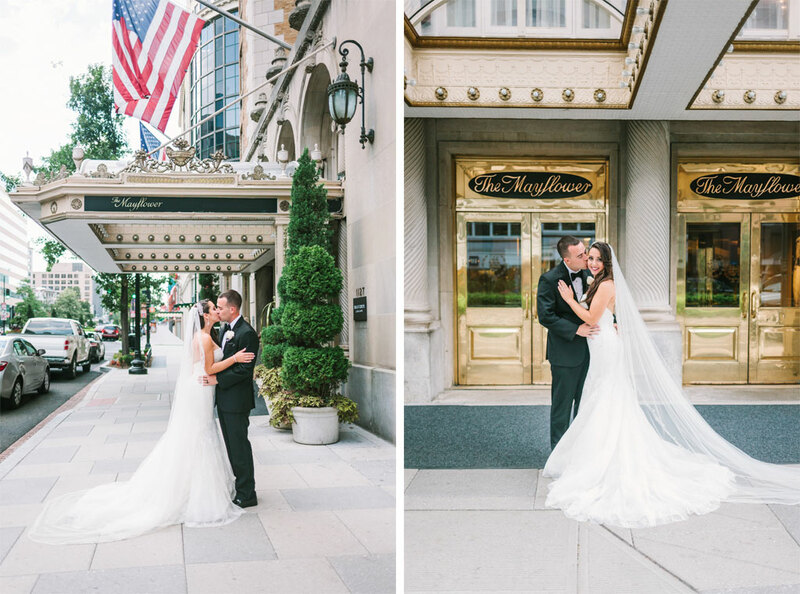 Take a look through their big day in the photos below, captured by Megan Chase Photography. 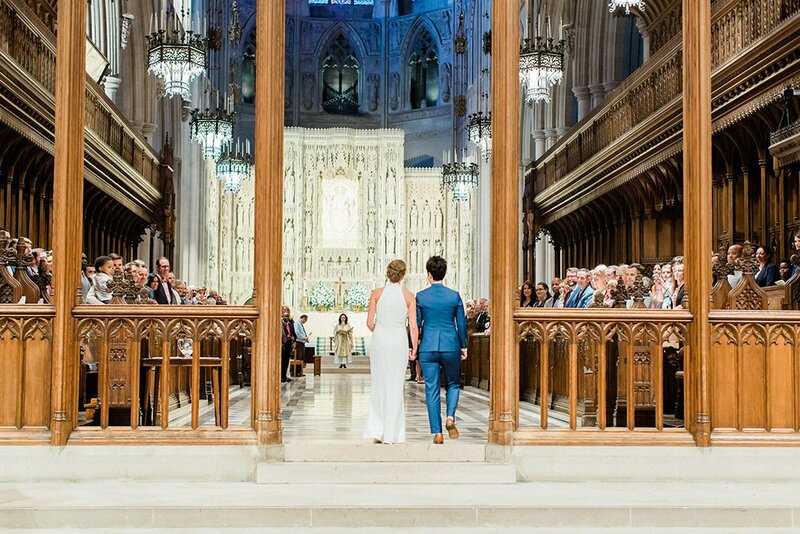 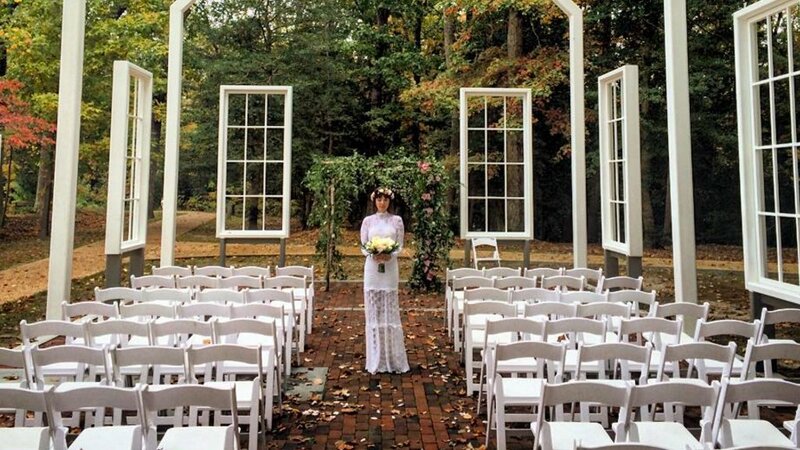 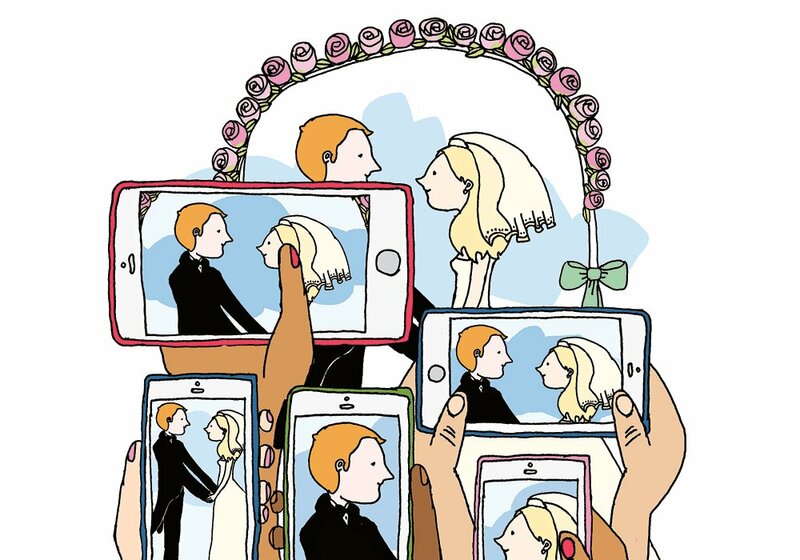 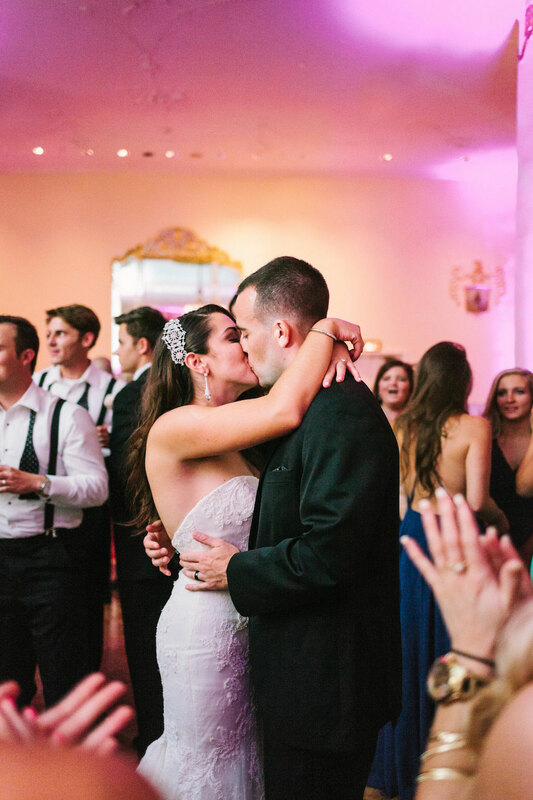 Though Luisanna and Ryan met in middle school in Springfield, Virginia, and been friends through high school and even as they parted ways to go to separate colleges, it took years for dating to become an option. 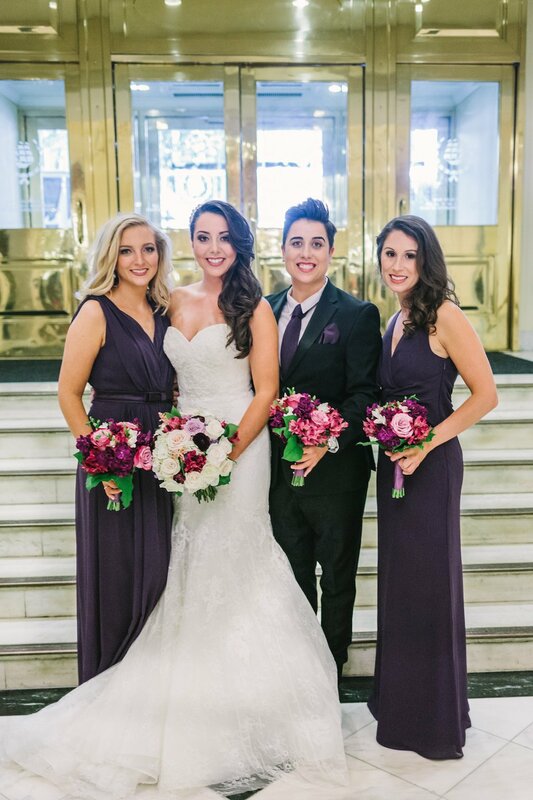 While the two were in college, Lianna, Luisanna’s older sister tweeted at Ryan that she approved of him dating her sister. 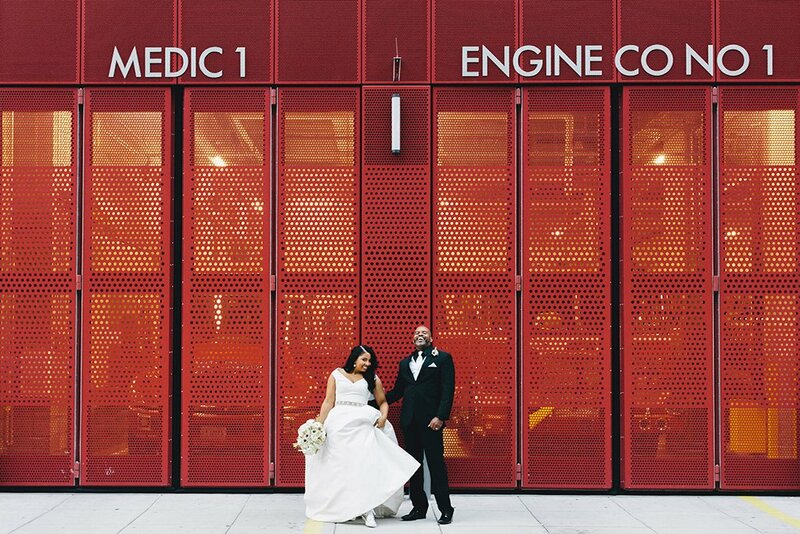 He took advantage of the blessing the next time he saw Luisanna, and they went on a first date to Bone Fish Grill. 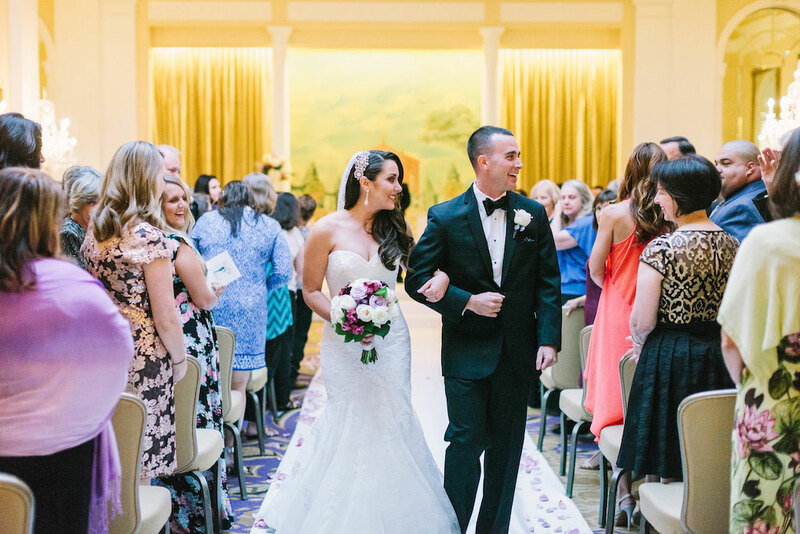 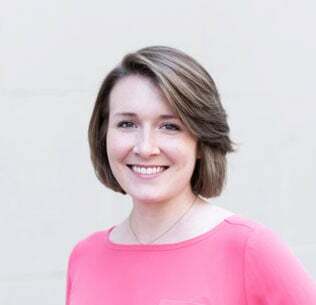 Just one year later, Ryan was stationed in Oahu, Hawaii with the US Army, and when he asked Luisanna to join him, she gamely agreed. 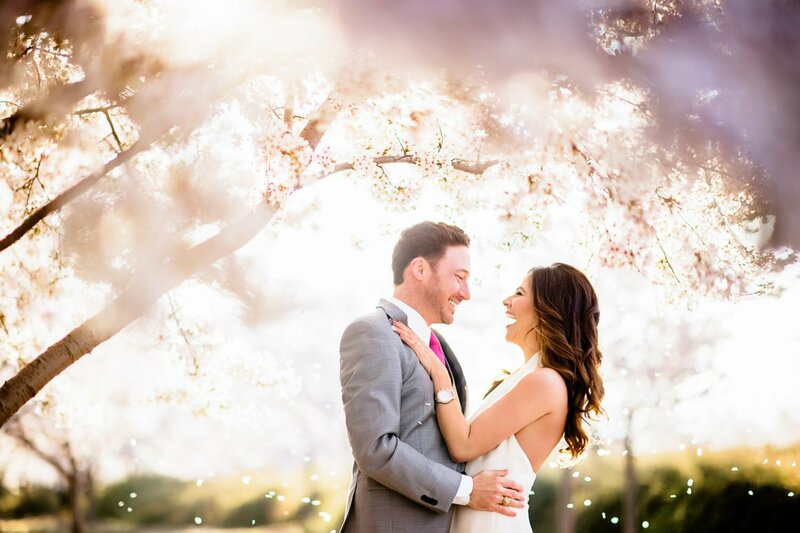 They’d been living in Hawaii for two years and added two dogs to their family when Ryan planned a date night at Luisanna’s favorite hotel restaurant. 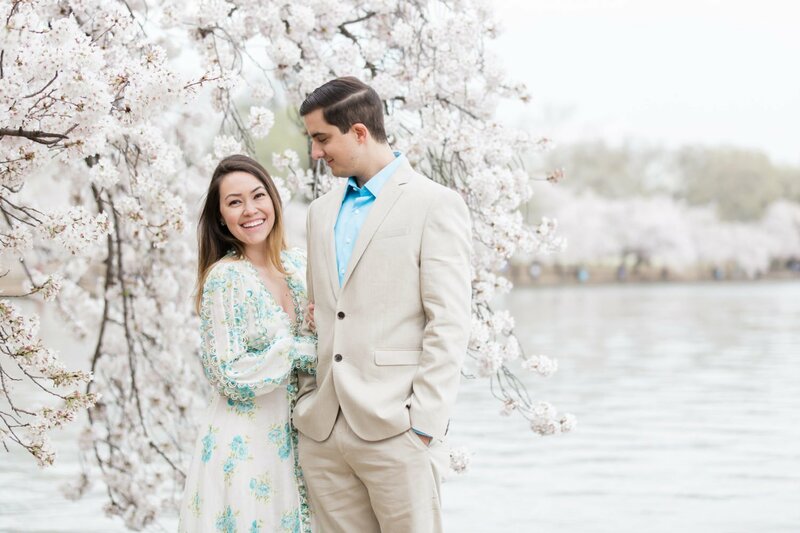 Ryan asked the waitress to take a photo of the two of them on the balcony outside, and as the camera snapped, he got down on one knee to ask Luisanna to marry him. 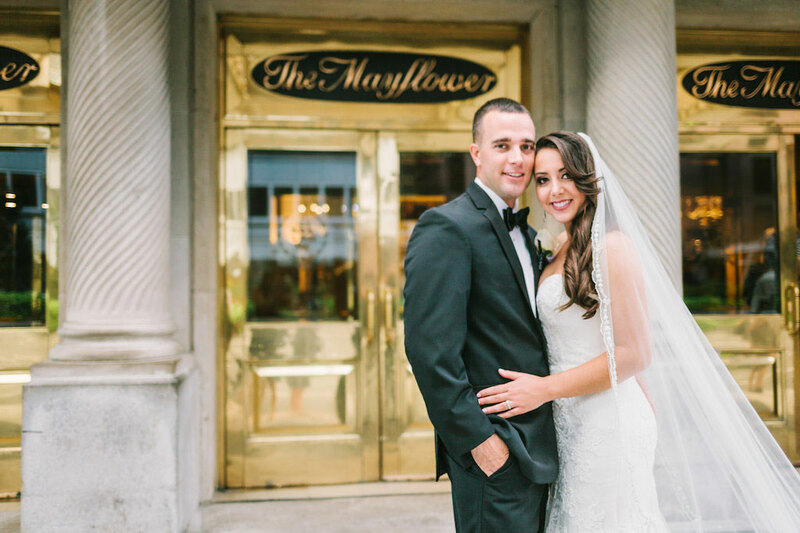 Afterwards, he surprised her with a weekend getaway at the hotel. 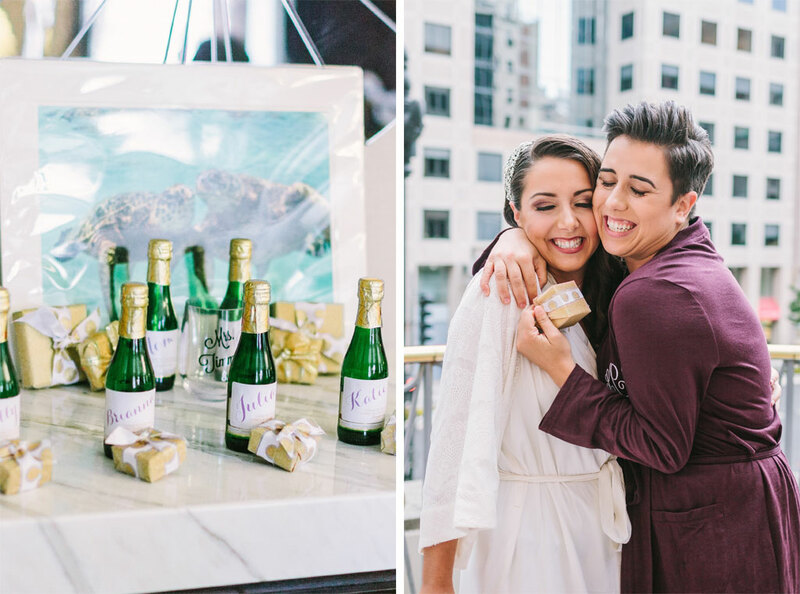 Before the proposal night was over, Ryan gave Luisanna one more surprise: a video of him asking her parents—including signing the question to Luisanna’s mother, who is Deaf—for their blessing. 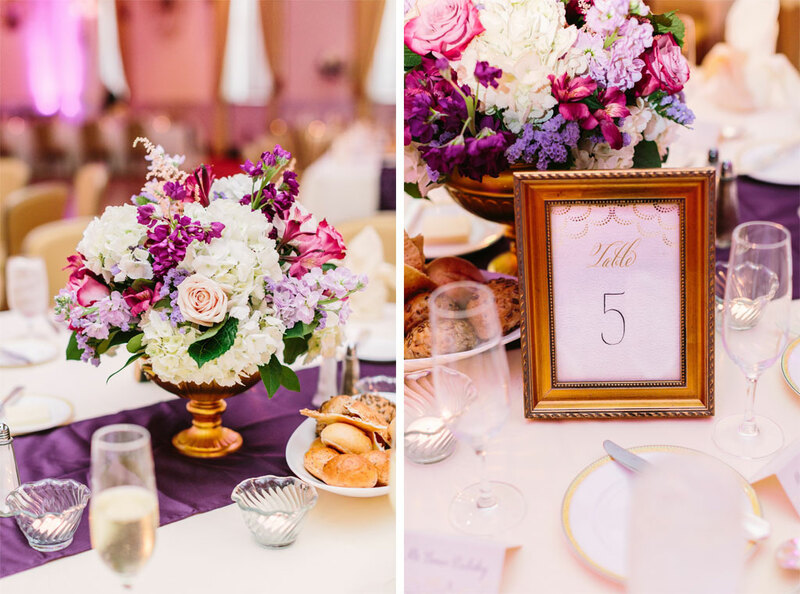 The jewel-toned decor was accented with one very personal element. 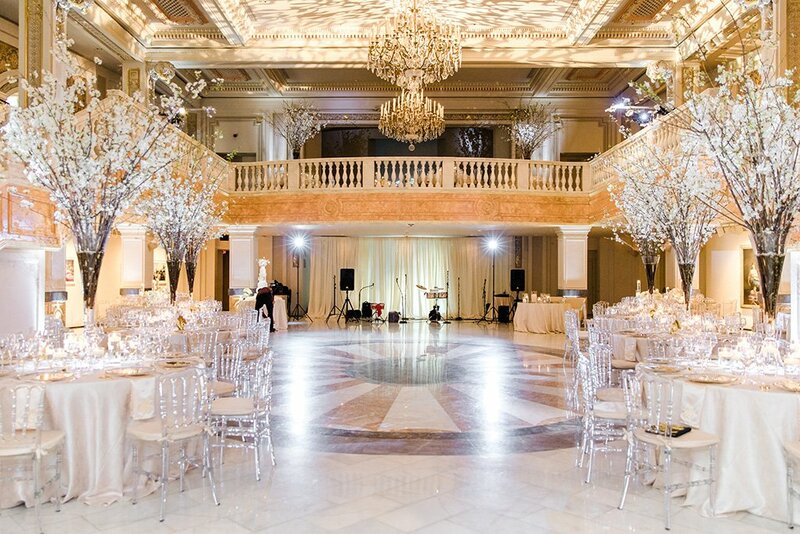 Luisanna’s late Abuela had a habit of saying, “I love you as big as the sky,” and during the father-daughter dance, Luisanna’s father instructed her to look up. 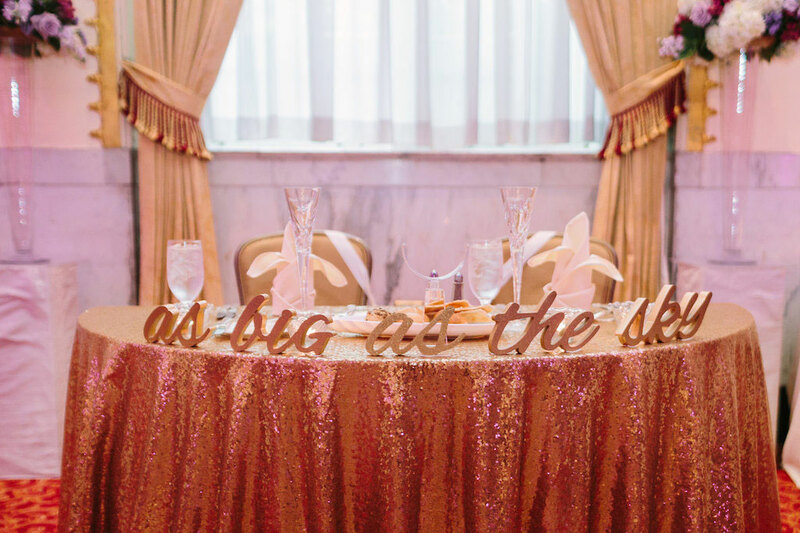 Above them, the words “as big as the sky”—which were also spelled out on the sweetheart table—were projected on the ceiling above them. 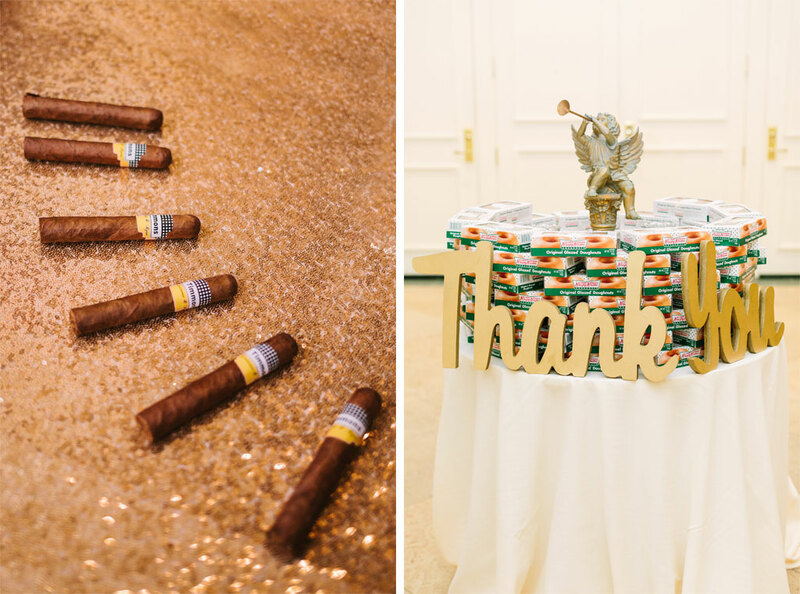 After Luisanna and Ryan danced on their own to “I Do” by Kiersten Rummel and cut into their strawberry cake, they sent guests home with “Glazed and Delicious from the Mr. and Mrs.” Krispy Kreme doughnuts before departing under a sparkler send-off. 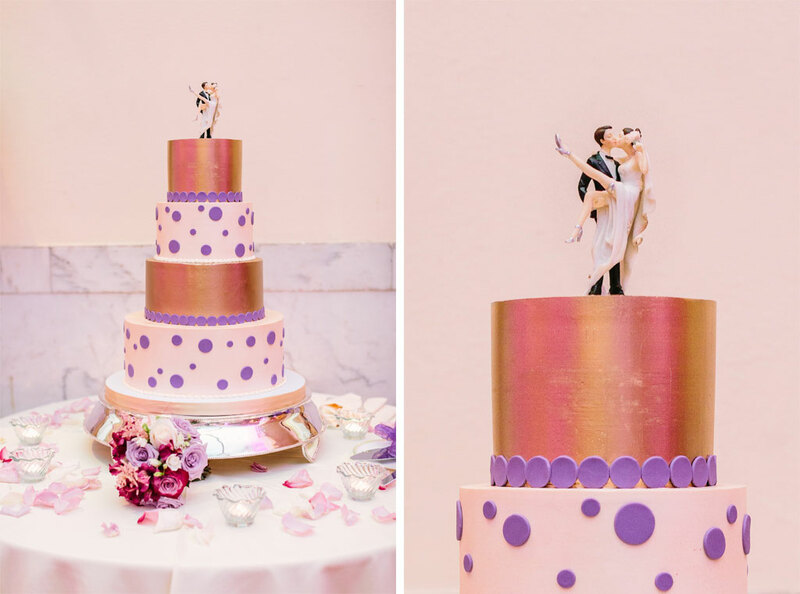 End your wedding day on a sweet note with the help of the area’s best bakeries.